John Cooper is the senior member and founder of the firm’s Intellectual Property Litigation Group. He regularly represents technology companies in complex, high-stakes patent actions and cases at the confluence of intellectual property and antitrust issues. His typical role is that of the strategist and team leader. He will counsel his clients on high-level strategic issues, and assemble and lead a legal team that represents both their business and their legal interests. Trained as a chemical engineer, John has also tried numerous cases to verdict outside of patent issues. 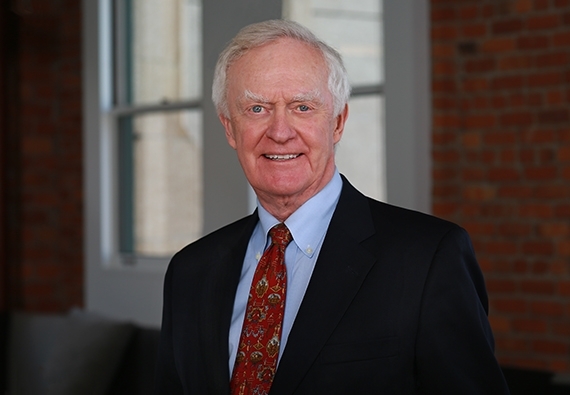 With over thirty years of experience as a trial lawyer, and a track record that includes successfully representing many of the largest, most prominent companies in technology, John has also personally trained and mentored many leading trial lawyers. He regularly counsels technology companies in complex patent actions that often include additional issues such as international trade and antitrust. He has successfully guided clients through massive trials and appeals, and many of his clients have benefited from his success at obtaining summary judgment victories of non-infringement in patent actions. While his practice usually involves technology issues, John has also tried many antitrust, commercial and business actions as well. Given his track record and his experience, John has proven to be a unique, effective advocate and counselor to his clients. He is an unparalleled strategist, with client relationships that in many cases, go back decades. He is particularly effective at working with clients on analyzing the implications and best course of action for the pivotal decisions that arise during the course of a major case – it’s very likely he’s encountered a similar situation before. It’s also very likely he has previously appeared before the judge trying the case. When questioning a witness, making an argument, or winning a key point is absolutely critical, John brings to bear the gravitas and the reputation of a senior, nationally-known trial attorney with an extraordinary track record. He has a unique ability to be persuasive, effective, and above all, listened to. As an advocate, a trial lawyer, and a force in the courtroom, John has few peers. John has served as Regent and is a long standing Fellow in the American College of Trial Lawyers. He was co-editor and co-author of “Anatomy of a Patent Case” published by the Federal Judicial Center to assist federal judges in patent cases. John has addressed the American Bar Association, the Ninth Circuit Judicial Conference, Intellectual Property Commissioners of the European Economic Community, and other legal organizations and published “Balancing Competitor Cooperation” in the Antitrust Law Journal. A dean of the San Francisco IP trial bar, I leverage an engineering background to solve mission critical IP and antitrust matters. Judges regularly tap me as a special master in precedent setting litigation.